Robert Martin, graduate of Iowa State University’s Department of Electrical and Computer Engineering, passed away in July at age 99. 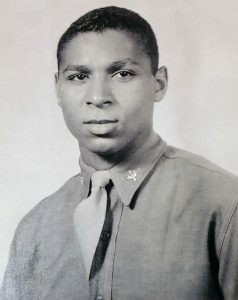 Martin, a native of Dubuque, Iowa, was an ISU electrical engineering student when he applied to join the U.S. Army Air Corps and eventually was enrolled in the military’s new Black Pilot Program. Martin served in World War II as a military pilot and was part of the Tuskegee Airmen, the first African-Americans to fly for the U.S. Armed Forces. It was through the efforts of the Tuskegee Airmen that black pilots were integrated into the U.S. Air Force. Martin earned his Bachelor of Science in Electrical Engineering from Iowa State in 1942 and spent his career as an electrical engineer with the city of Chicago until he retired in 1988. Through his military service, he received a number of decorations, including the Distinguished Flying Cross, the Purple Heart and the Congressional Gold Medal. Martin was married to his wife, Odette, who survived him, for 68 years. This is so cool! 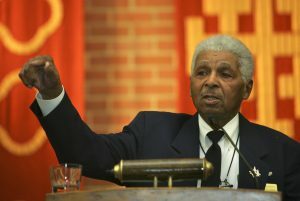 I’ve watched a lot of documentaries on the Tuskegee Airmen – what an honor for him to have graduated from ISU! Awesome!